As BJ Penn's prepares for Jon Fitch, his training includes working with a former rival in the Ultimate Fighting Championship -- Matt Hughes. As UFC 127 draws near, BJ Penn gears up against Jon Fitch with the help of his former rival — Matt Hughes. Hughes spent several days in Hawaii last week to train BJ Penn for the upcoming UFC 127. Jon Fitch’s approach to mixed martial arts revolves around wrestling. 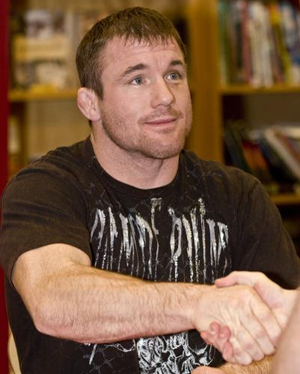 But Matt Hughes has a lot of knowledge in wrestling too. He is also one of the few high-end wrestlers in MMA who knows what it’s like to be in the cage with BJ Penn. Hence, it only makes sense why BJ Penn would ask for Hughes’ assistance in training. Can Matt Hughes’ training session with BJ Penn help the latter to make it through? There’s only one way to find out. So for more UFC 127 news, just keep it posted here on Fighting Insider.